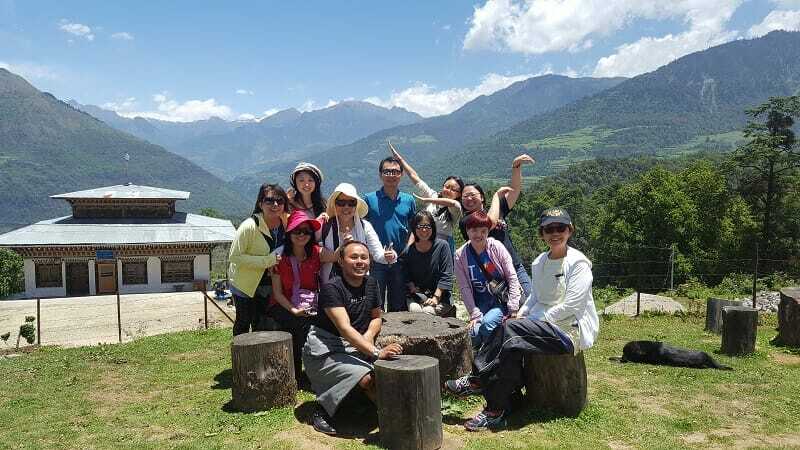 As one of the best Bhutan Travel Operators in the country, our team of professional locals has decades of combined experience. We live to promote the best of Bhutan destinations, Bhutan attractions, and Bhutan treks to our clients and assist them with their Bhutan holiday. Whether you are visiting Bhutan for its attractions (Tiger’s Nest Monastery, Buddha Dordenma, Rinpung Dzong), its destinations (Thimphu, Paro, Punakha), or its activities (Druk Path Trek, Paro Taktsang Hike, White Water Rafting), we can do them all! We are trained to serve travellers from the United States, Canada, Australia, Malaysia, Singapore and Thailand; from single travellers to family and friends groups and large corporations. To explore our beautiful kingdom, you can choose from our list of popular Bhutan Tour packages or you can personalize your own Bhutan trip based on your needs and preferences. Druk Tshering Jong Building, Room No. OF3, 3rd floor, Chang Lam Road, Thimphu, Bhutan. Say Hi! Drop us an Enquiry!